If you’re sitting in an office with superfast fibre optic broadband, you may not be giving much thought to your website performance. If it uploads quickly when you check on it, you could be lulled into a false sense of security that it’s the same for everyone. But of course it isn’t. Visitors to your website are not all sitting in offices accessing your website with excellent connectivity. They may be at home using a lower speed connection with other users also competing to get online, play games or watch Netflix. Or they could be visiting your website on their mobiles, using slow 3G connections or public WiFi. Of course, you will still want a great looking website, one with a great user experience, one that showcases your business, provides visitors with all the information they need, and converts visitors into prospects and then customers. But can you have this and ensure great website performance wherever your customers are accessing your site? According to Ofcom smartphones have overtaken laptops as the preferred device to get online. This trend in mobile has increased year-on-year and there is no sign of a slowdown. In fact in certain age groups, online mobile use is significantly higher – 88% of 16-24s own a smartphone compared with 14% of over 65s. With this in mind all websites must be mobile friendly – but this should go further than just scaling to fit whatever device it’s being accessed on. Instead, websites should now be designed ‘mobile first’ and then scaled up for laptops and PCs. This is especially true if your business is aimed at the digital savvy Millennials. This mobile first approach not only ensures that your website looks great and is easy to navigate on mobile devices, but its performance is also optimised for mobile. This includes factors such as image load times and file sizes, which can seriously impact on performance. You will probably have noticed how when you visit a website you’ve been to before, it loads quicker than the first time around. This is because those static pages have been cached by your browser and they are simply being accessed from there, rather than the website’s server. The disadvantage with this is that sometimes if a page has been edited, the viewer gets the older version rather than the new one. It is possible to give first-time visitors a similar experience, without the out-of-date content, by pre-loading pages when they first go to your website. You’ll have seen websites that do this; often they will display a loading icon for a couple of seconds when you first reach their site. During this time the entire website contents are being loaded which means that there is excellent performance when you navigate around the site. New pages update instantaneously with no downtime in between, making for a truly responsive website. 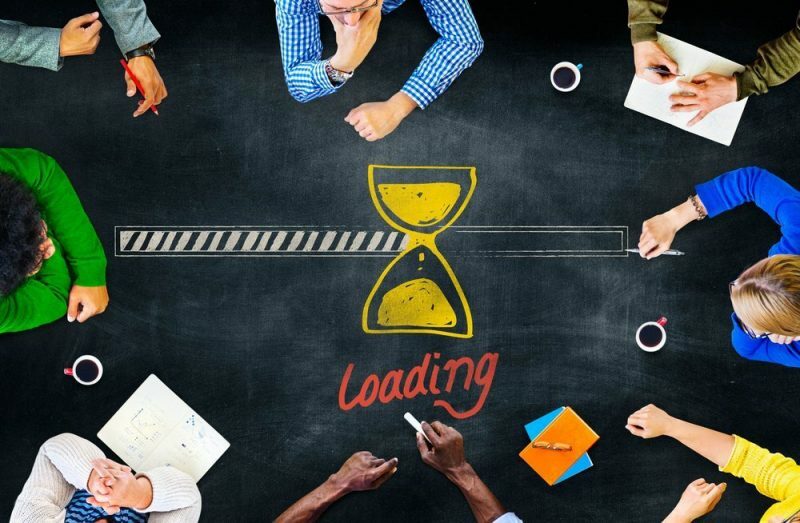 The slight drawback is that the initial loading time will vary depending on your visitor’s connection speeds, but having also optimised the site for mobile this will be minimal. So how well does your website perform? As always there are plenty of online testing tools you can try out. I quite like the Pingdom Website Speed Test which as well as testing your site, also provides a really comprehensive report helping you, or your web developer, speed up its performance. If you would like to discuss your website’s performance with our web team, please get in touch.